Importance of hepatotoxicity in toxicity studies is briefly discussed. 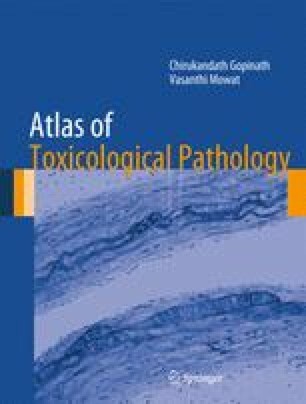 Various induced lesions occurring in the liver of experimental animals, such as degeneration, necrosis, inclusions, pigmentation, hypertrophy, hyperplasia, and tumours, are illustrated, and their relative importance is discussed. Significance of adaptive responses is also discussed.